Southern Filters (Dorset) Ltd was established in 1979 and their core purpose is to provide reliable, high quality air filter products and solutions to their customers. They work nationally with a wide range of equipment manufacturers, maintenance companies and industry distributors in the heating, ventilation and air conditioning sectors. They put the customer at the heart of everything they do, manufacturing high quality products with a commitment to excellent customer service. Although established as a company with a strong reputation within the industry and client base, they recognised there was an opportunity to develop their brand and sales strategy further to support their expansion plans. To provide a truly integrated sales and marketing strategy we collaborated with Mogstar Marketing. Following an initial Discovery Session to really get to know Southern Filters and their market in depth, we then delivered a comprehensive sales and marketing strategy. The core focus throughout was to develop a seamless integration of their marketing and business development activities, to strengthen their customer communications and relationships and ultimately protect and increase their revenue. The end result was a full sales and marketing strategy including development of their brand identity, core messages, priority customer segments, sales approach, insights & recommendations for further development plus a 1 year priority plan. As part of the delivery we also advised Southern Filters on the specific, relevant tools to help their business, including CRM integration. "Southern Filters had recognised the need to add sales & marketing to our expertise and experience in the manufacture of air filters, and we really appreciated Zest’s input in helping us to take a step outside the day to day running of the business to identify and prioritise our sales & marketing needs. 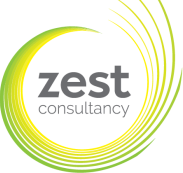 Zest were thorough in gaining an understanding of us and our business, which helped us to focus on the route towards integrating sales & marketing with our business expansion, and present a more professional image. The Sales & Marketing Strategy produced by Zest and Mogstar crystallised our priorities and enabled us to provide specific and comprehensive details when appointing a designer for our new brand identity and website."